The USS Enterprise, the first nuclear aircraft carrier in the world, has been officially retired today at a ceremony in Norfolk, Virginia—special appearance by Captain Kirk included. Since her comissioning in November 1961, she has served under ten Commanders-in-Chief, including John F. Kennedy during the Cuban missile crisis in 1962. The "Big E", as she's affectionately called, has carried 100,000 sailors and pilots through all its life. She was built with 60,923 tons of steel, more than the Empire State Building. 2,400 miles of blueprints were drafted for her design, enough to go from Miami to Los Angeles. 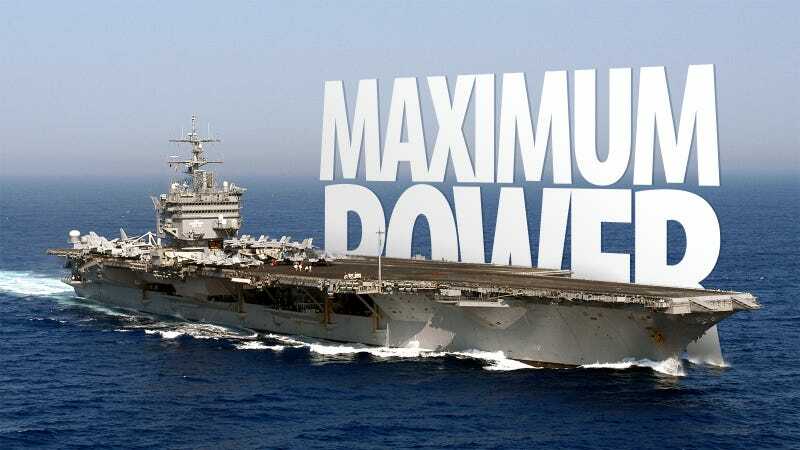 At 1,123 feet, she is the largest US Navy vessel, almost four football fields long. She sailed for 1,000,000 nautical miles, enough to circle the Earth 40 times. She used 8 nuclear reactors. She can carry up to 90 aircraft. 400,000 airplane landings, including the Vought F-8B Crusader—her first aircraft model—the Grumman F-14 Tomcat, and the Boeing F/A-18F Super Hornet—the latest one. It was deployed 55 times, from the August 1962 Cuban Missile Crisis to the latest Afghanistan campaign in 2012. The first deployment was a NATO exercise with 24 other ships. Only a few months later, she was deployed in the Cuban Missile blockade, where she was instrumental in JFK's standoff against the Soviet Union. Three of those deployments went all around the world, in 1964, 1986 and 1990. In 1965 she was sent to the Vietnam War. She kept serving this area till 1973 and became one of the last ships to support the evacuation efforts at the end of the war. She also participated in Operation Decisive Endeavour and Souther Watch in 1996. In 1998 she was part of the international coalition against Iraq, launcing 297 combat missions during 70 hours of continuous operation. From 2001-2012, the USS Enterprise was in constant combat mode, with 700 combat missions against Taliban positions in November 2001 alone, right after 9/11.